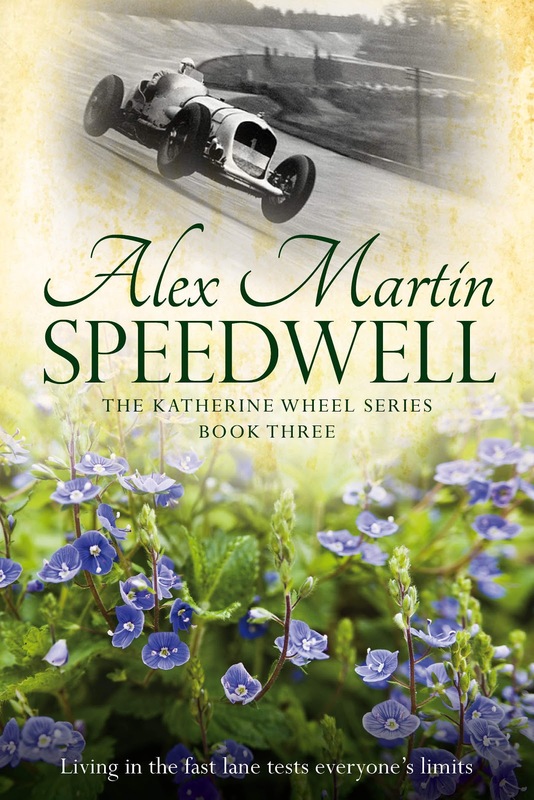 "This book caught my attention by the title and the race car on the cover. And even though I hadn’t read the first two books of the series, I checked out the description, then a portion of the sample and bought it. 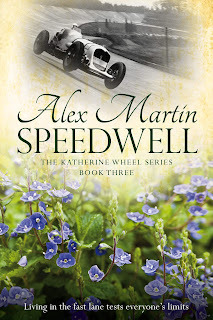 Auto mechanic Katy (Katherine) Phipps, proprietor of Katherine Wheel Garage, is struggling to eke out a living in 1920s England, having apparently learned her trade in World War I. Her husband Jem (short for Jeremy) handles many of the building maintenance and household duties, including growing vegetables for themselves and for sale. Jem lost half an arm during the war, but doesn’t whine about it. 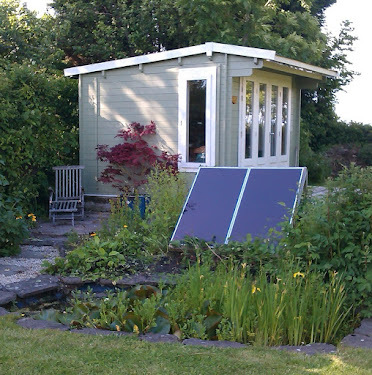 Their humble home and workshop are a short distance from the manor of their unlikely friends Cass (Cassandra) and Douglas, who is an American who met his wife during the war. Cass, a daughter of wealth, privilege, and minor nobility, drove an ambulance during the war, which was probably when she and Katy became friends. Katy and her family were once servants at the manor, though, so they must have been acquainted. Anyway, Since Doug and Cass helped fund Katy and Jem to get the garage up and running, and since there isn’t much for Doug to do at the manor, coupled with the fact that he and the in-laws aren’t too fond of each other and it’s actually their place, Doug periodically stops by the garage to help out. The problem is, he isn’t much help. But he is amiable and charming, and by mutual agreement he begins selling new cars out of Katy’s shop. Doug is a car guy who loves to drive, so it’s a perfect fit. Soon Doug and Katy end up concocting a scheme to go racing, promote business for both of them. This story is heartwarming, heart-wrenching, and thought provoking. And although it isn’t a fast read, like many sagas, and isn’t of the genre I read often, it’s a compelling tale." I feel that Speedwell has passed some severe masculine test with this review!